James Chambers was known for his magnificent orchestral playing, intense 45-minute lessons, strong views, and orchestra repertoire classes. Chambers was born in Trenton NJ in 1920 into a musical family. His parents were amateur musicians, a grandfather was an organist and teacher, and one brother was a trumpet player and teacher. Chambers started playing horn at age ten, making his debut with the Trenton Symphony Orchestra at age 15. He attended the Curtis Institute of Music in Philadelphia, where he studied with Anton Horner (1938-1941). "I picked the horn because I felt there were fewer good horn players than there were good violinists and pianists. It was a pragmatic decision born out of hard economic times," he said in an interview. While at Curtis, Chambers obtained a new Conn 8D from a local music store, one of the first run of 8Ds. He played the same horn until he retired from horn playing. Chambers played with the Pittsburg Symphony under Fritz Reiner for one year after his graduation in 1941, then became solo horn of the Philadelphia Orchestra (1942-1946), and finally was solo horn of the New York Philharmonic (1946-1969). After retiring from horn playing because of his health, Chambers continued to be orchestra manager (1969-1986). He also was a guest artist with other orchestras, including the Longines Symphonette Radio Orchestra, and at many music festivals. He played with such artists as Mitch Miller, John Barrows, Jimmy Buffington, Tony Miranda, Clark Terry, and Bernie Glow. He enjoyed commercial recordings and preferred playing fourth horn on them. ''He founded a style of horn playing based on a rich, dark sound and had a fearless approach,'' said Philip Myers, a successor as first horn in the New York Philharmonic. Conductor Leonard Bernstein said, "He played solo horn on all my early Mahler recordings - to say nothing of Beethoven, Brahms and the rest - and always magnificently.'' In fact, Chambers recorded Mahler's Fifth Symphony with Bruno Walter and Dimitri Mitropoulos as well as Bernstein. Chambers taught at the Curtis Institute while he was a member of the Philadelphia Orchestra, then at the Juilliard School for 42 years, still on the faculty when he died. His orchestral repertory class for wind instruments became one of the most sought-after instrumental experiences at Juilliard for over a generation. Chambers often included selections from the Philharmonic programs in the class. "I have great enthusiasm over this class. It is very challenging simulating a conductor – differing the interpretations and pointing out the pitfalls." Chambers said, "We only have one thing to sell on the horn: the unique and beautiful sound which is particularly the horn. Anything else we try to do there are countless other instruments that can do it more easily and more securely without the difficulties of the horn." He was adamant about not switching to the B-flat horn below the written C-sharp. "My usual advice is don't discard the F horn so easily. Use the B-flat horn as insurance. But even in what I consider basic F horn territory there are many exceptions. Technical problems or jumping in and out of a register may require you to play on the B-flat or to mix the two. What I am trying to express is flexibility. Try to have all the options at your disposal." Students respected Chambers' teaching methodology and discipline. He presented material in a carefully thought-out order and packed much into his 45-minute lessons. He was demanding of students but prepared them thoroughly. He said, "Anyone can blow through a pipe," implying that only a few can make music doing so. Chambers' publications include a series of orchestral excerpts books and numerous editions of etude and solo works. Composer William Schuman said Chambers was also a scholar who brought a researcher's discipline and a performer's insights to the literature of the horn. 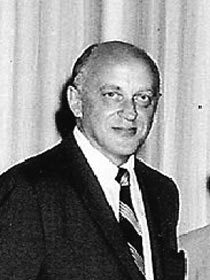 Chambers was elected an IHS Honorary Member in 1979.